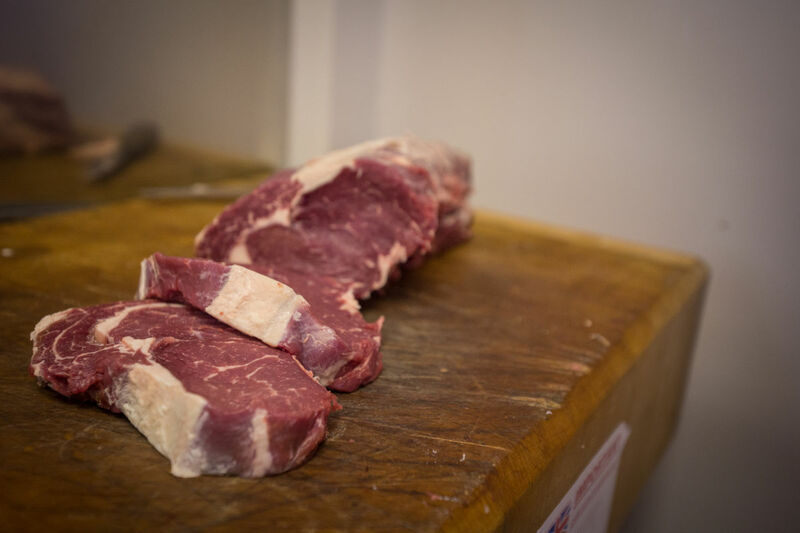 Ealing Butchers & Charcutier – We provide tasty, native-breed, grass fed, free range and organic meat. 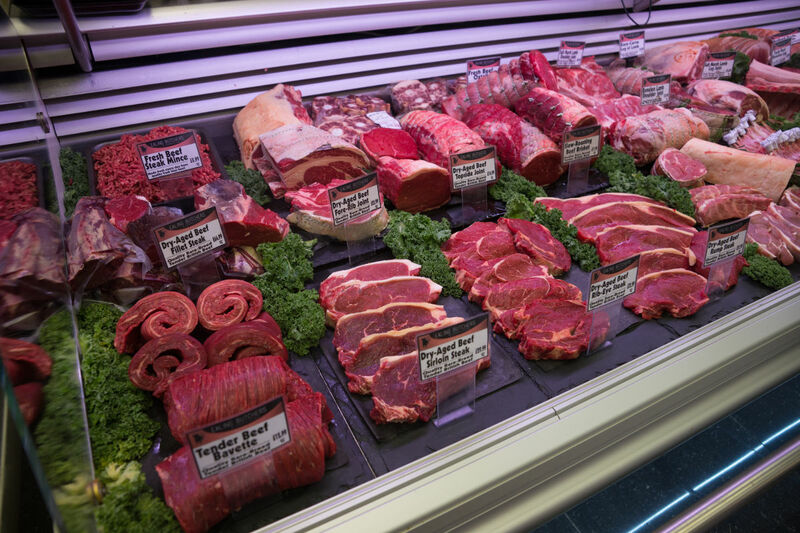 We offer a wide variety of products from our Award winning Red Ruby Devon Beef to our moist tender pork from Large Black breed domestic pigs and the sweet flavour of our Salt Marsh Lamb. 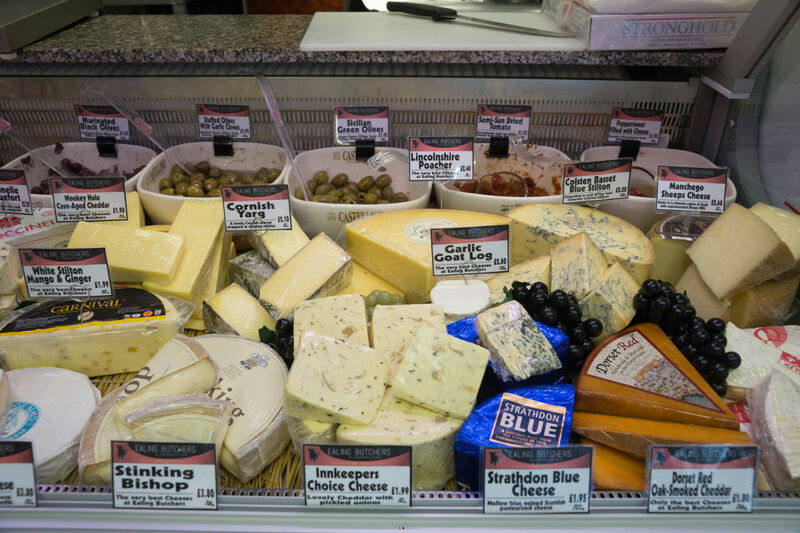 We also have a selection of wines, poultry, cheeses and deli meats. We are now offering Butchery Classes both for youself and as a gift option. Sign up and we will keep you updated on what’s in season and in the shop right now, recipes, cooking ideas and tips. There will be special offers. We won't send you spam or share your details with anyone else. 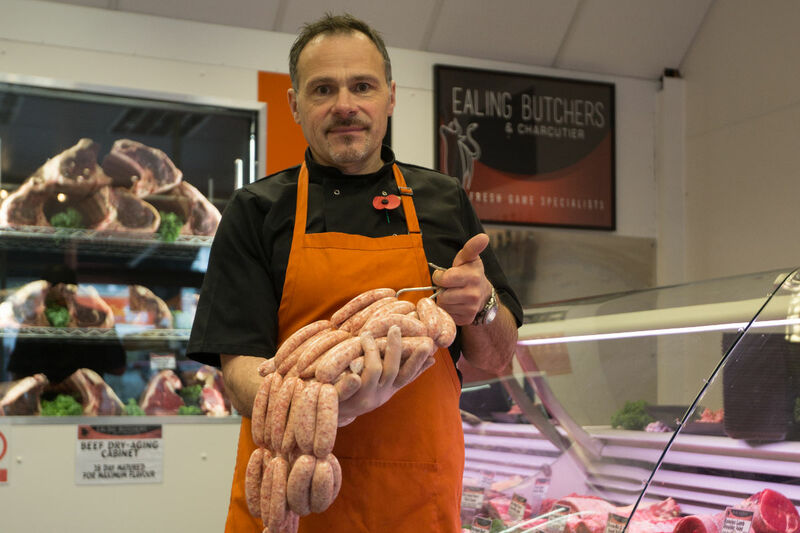 EALING BUTCHERS & CHARCUTIER is owned and operated by Master Butcher Andrew Rosher from West London with 38 years of experience. Focused on providing tasty, native-breed, grass fed, free range and organic meat, we source from small farmers who care about the welfare of their animals. 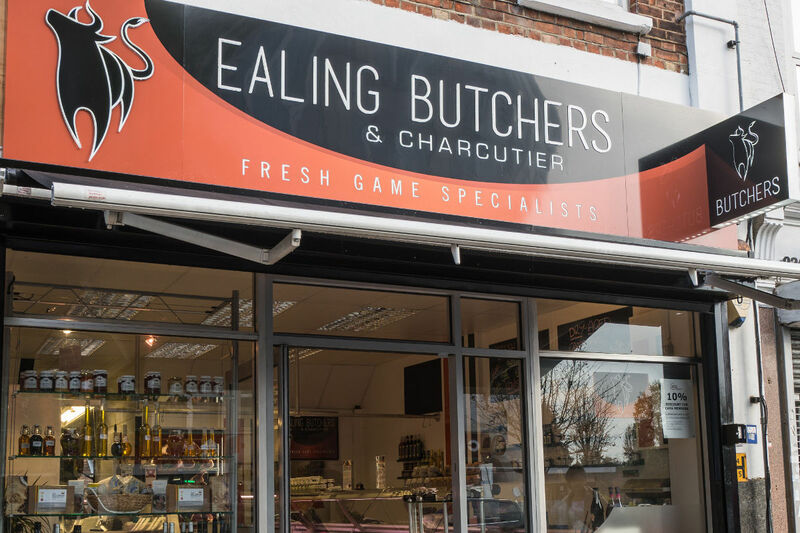 EALING BUTCHERS & CHARCUTIER likes to keep it British wherever possible and if it’s not British we choose only the best from our neighbours - like our delicious French Farmed rabbits. We buy whole animal carcasses, butchering 'nose to tail' in the traditional manner used by few butchers nowadays. We only purchase ethically raised, whole barn reared and free range chickens prepared fresh in store daily - from breast to wing! 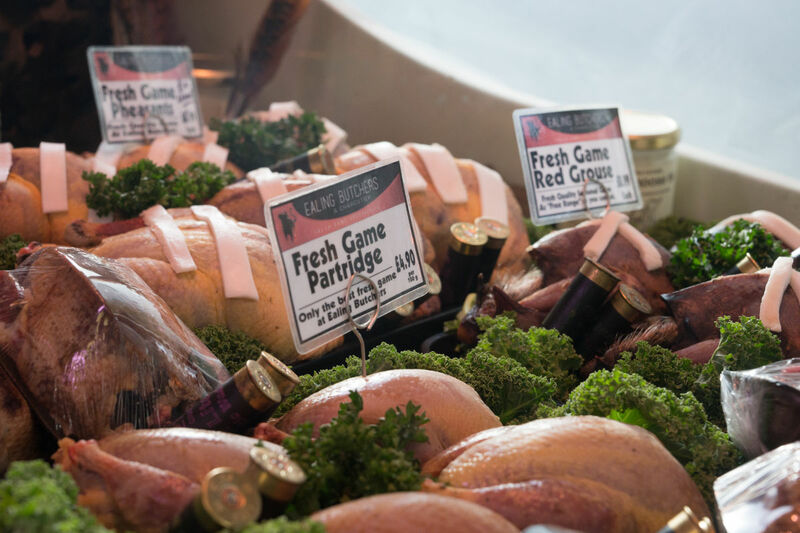 Specialising in Fresh Game, we offer a full selection of seasonal meats including Pheasant, Partridge, Pigeon, Mallard, Grouse, Rabbit, Venison and Hare. If you would like to know more - just ask - as every farmer and season is different. Tempting savings on your favourite cuts. Best quality meat hand cut in the old - fashioned way to ensure every bite is a real pleasure. Don’t miss out on these tasty specials. Please see our section below to view current offers. Matured for a minimum of 28 days, our beef is specially selected and delivered direct from the farm in Cambridgeshire. This Devon Breed, also known as "Red Ruby", is grass fed and simply cannot be beaten for marbling, texture, and tenderness. A vital factor in flavour is the perfect balance of fat and meat making the Red Ruby Devon beef probably the best you can buy. Our free range pigs are of the “Large Black” breed - this domestic pig, native to Great Britain dates back to the 16th century. Large Blacks are a grazing pig and can meet most of its nutritional needs from the pasture alone, making for moist tender pork the way it used to be. The succulent sweet flavor is a direct result of the natural marshland over which Salt Marsh Lamb graze & roam freely during the summer months. Providing a totally natural environment for the sheep, the natural grasses and marsh samphire are free from any form of fertilizer, producing award winning quality meat. We only purchase Free Range Whole chickens and Whole Barn Reared chickens that are antibiotic free. Prepared fresh each day in our shop, into a variety of cuts, they come from a farm in Suffolk which has been run by the same family for over 100 years. A legendary sausage maker, Andrew Rosher makes up to 12 different types of sausages all done in house using pork from Rare Breed free range pigs, grass fed Beef and Salt Marsh Lamb. Some house specialties include Merguez , Beef and Guinness, Fresh Venison, Cumberland, Organic Cider and Apple, Spicy pork and our classic London’s finest pork. 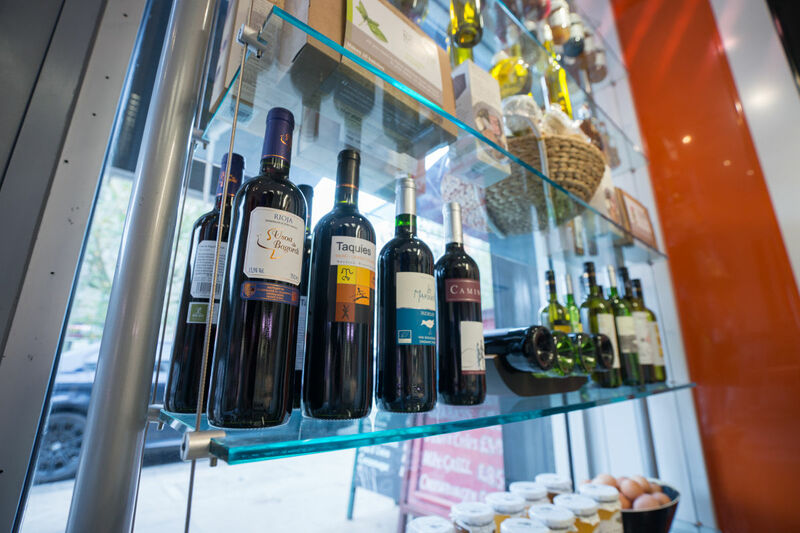 All of our wine, beers and ciders are organic, ranging from an excellent award winning full-bodied Spanish Rioja to a crisp New Zealand Sauvignon Blanc. 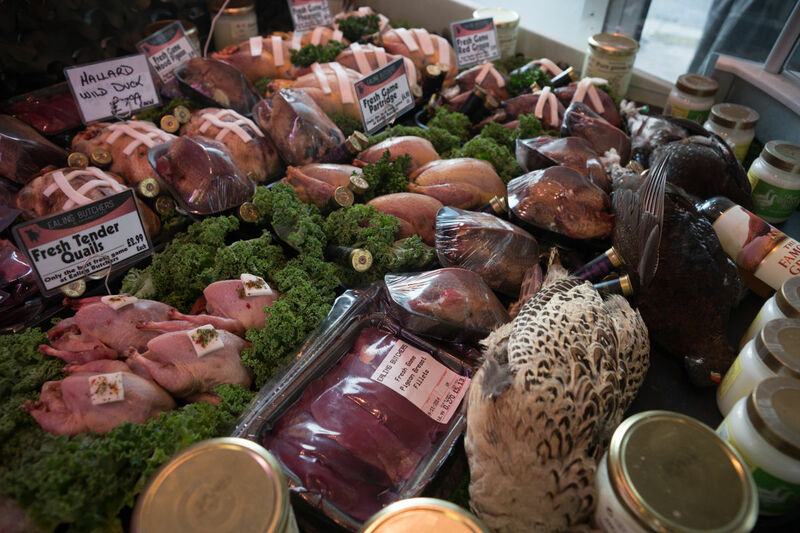 We specialize in Fresh Game and offer a full selection of seasonal meats including Pheasant, Partridge, Pigeon, Mallard, Grouse, Rabbit, Venison and Hare. We offer a selection of fresh cheese including the Cornish Yarg, Cave aged Cheddar, Spanish Manchego and the classic French Comte. 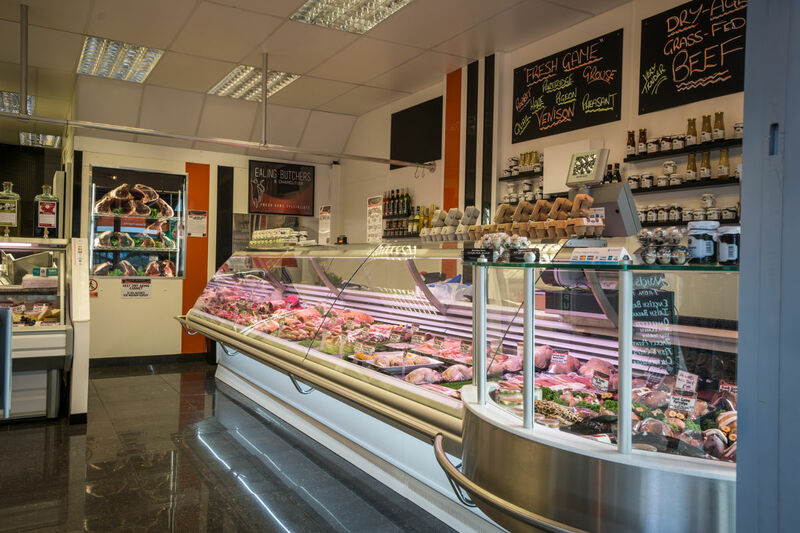 In addition, we sell a selection of Italian Salami, Pancetta also ham, beef and other cooked meats and pies made fresh on the premises to our own special recipes. EALING BUTCHERS & CHARCUTIER is just 1 minute from Ealing Common Station so feel to pop in or contact us using any of the information below. You can connect with us through our social media accounts. Our Butchery Class is a great evening for those who would like a hands-on lesson in meat and traditional butchery skills. The class will take a minimum of 2 hours and will start from 7:00pm a butcher’s apron; chain mail glove, appropriate knives and equipment will be provided. 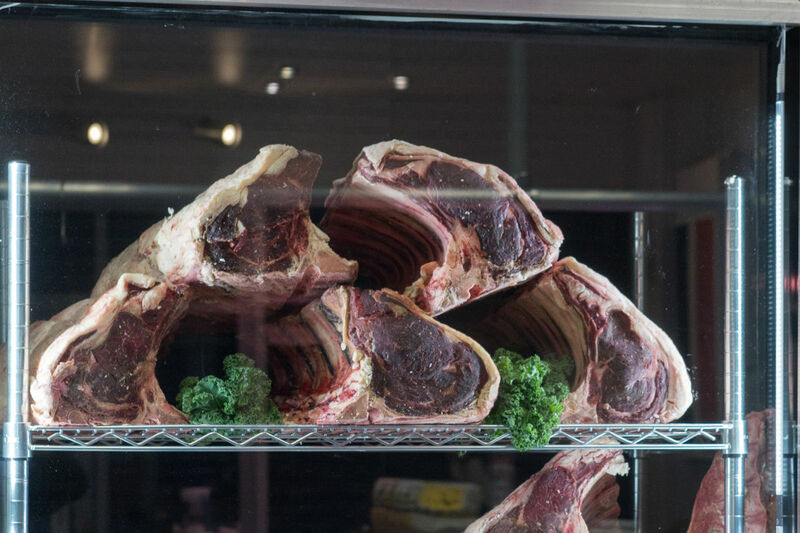 Our Master Butcher with 40 years of experience will work with you teaching you how to bone, trim, roll and tie great quality meat and you will leave with the skills to last a lifetime. All the Fresh high welfare British meats prepared by you during the evening will be packed ready for you to take home. You will also take home the New Butchers boning knife that you used during the evening. This class can be given as a unique gift, vouchers are available to purchase and the recipient can call to arrange a date to suit them. Please Call us on 020 8993 2253 to make your booking or purchase a Gift Voucher.